The sheets were dirty and when I called for clean sheets I was told housekeeping wasn’t available and a security guard bought twin sheets for a king sized bed. I called back to desk for the appropriate sizes sheets and no one came. I’m throughly disappointed in the rooms cleanliness and will not be returning. I even left a day early. Bed was comfortable and the complimentary breakfast was delicious. They also offer a shuttle to drive you locally and pick you up. Ernest was our driver and he was fabulous! I would stay here again! The staff was very helpful. The Room layout, the comfortable bed, the nice pillows ,the good view , the complimentary breakfast cooked by actual chefs, The atrium atmosphere was nice. All the staff that I came into contact were very pleasant. NO hot water to take a shower. Maid knocked on door at 8:30 to see if was checking out. Tried to call front desk multiple times during stay....no one EVER answered the phone. Very disappointed. Staff was friendly and accommodating. Breakfast great pools and hot tub great! The breakfast was good. The room was spacious. The location was good. Parking and checking in was a little tough. The complimentary happy hour drinks more than made up for it. Customer service was amazing but the hotel is very outdated and old looking. Embassy Suites Atlanta - Buckhead This rating is a reflection of how the property compares to the industry standard when it comes to price, facilities and services available. It's based on a self-evaluation by the property. Use this rating to help choose your stay! One of our top picks in Atlanta.Set in the Buckhead - North Atlanta district of Atlanta, Embassy Suites Atlanta - Buckhead is 3.7 mi from Atlantic Station. 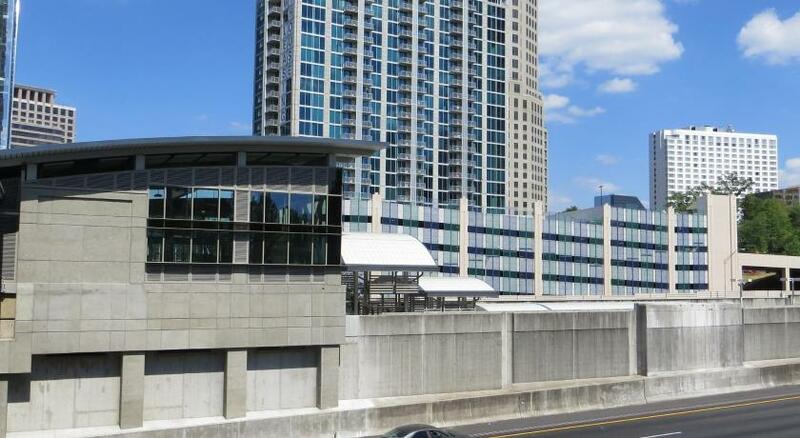 Offering a fitness center, the property is located within 4.3 mi of Piedmont Park. The hotel features an outdoor swimming pool and free shuttle service. Free WiFi is offered. A buffet breakfast is served every morning at the property. 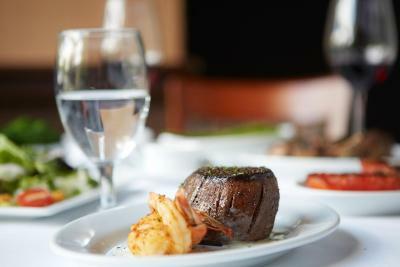 The restaurant at the hotel specializes in American cuisine. Embassy Atlanta Buckhead offers 3-star accommodations with a hot tub and terrace. Guests have access to the on-site business center and can use the on-site ATM machine or check the newspapers. Staff at the 24-hour front desk can provide tips on the area. FOX Theater is 5 mi from the accommodations. Hartsfield-Jackson Atlanta International Airport is 14 mi from the property. When would you like to stay at Embassy Suites Atlanta - Buckhead? This room features a microwave, refrigerator, and flat-screen cable TV. This suite features a microwave, refrigerator, and cable TV. This accessible suite features a microwave, refrigerator, and cable TV. This non-smoking suite features a microwave, refrigerator and cable TV with pay-per-view channels. This accessible suite features a private bathroom with a roll-in shower, sofa, and flat-screen cable TV. This accessible room has a flat-screen TV, desk, and microwave as well as a refrigerator. The spacious presidential suite includes a separate bedroom and living room as well as 2 bathrooms. A flat-screen TV, small refrigerator, and microwave are also provided. 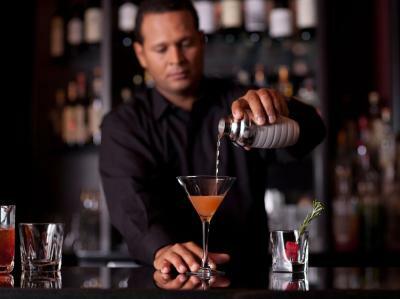 House Rules Embassy Suites Atlanta - Buckhead takes special requests – add in the next step! Embassy Suites Atlanta - Buckhead accepts these cards and reserves the right to temporarily hold an amount prior to arrival. Early check-out: A surcharge of USD 50 applies for departures outside check-in hours. All requests for late departures are subject to confirmation by the property. Late check-out is permitted at no charge based on availability and subject to confirmation by the property. The pillows on the bed are way too soft. The space in the 2 room suites are great. Not a thing I can think of. The parking deck is horrible for family cars. Way too small. The bathrooms were out dated in the rooms and the pillows were as flat as pancakes. Also I think the breakfast should be self serve like a lot of other Embassy Suites. Loved the staff and atmosphere. Very welcoming. The actual entrance to the hotel the parking and valet Way too congested... People waiting in line in their cars to come off of the street because someone from inside the hotel wants to talk to somebody in a car and you end up sitting there for 5 to 10 minutes while they finished their conversation and then the line starts moving again...very aggravating. I was really disappointed at all the pending charges that show up on your account at check out. They put all this holds in order to process the payment. And you do not get it back until 3 - 5 businesss days. Rooms are very old. My bathroom door did not close. I was sharing the room with co-workers and that was awkward. Room smell like smoke even though it said non-smoking. One side of our king bed was so low that it almost touched the ground. My boyfriends back started hurting the next morning due to the beds terrible condition. There was also a leak and part of the ceiling was falling in the corner of the bedroom. The omelet station was subpar.